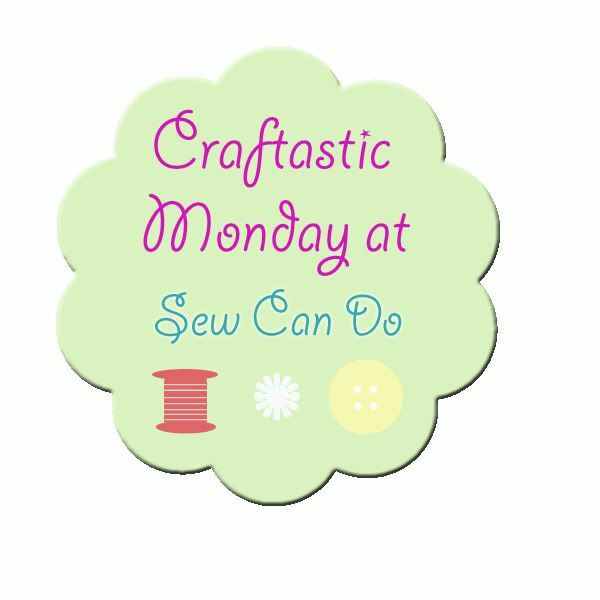 Sew Can Do: It's Craftastic Monday Link Party Time! It's Craftastic Monday Link Party Time! Ready to link up Craftastic-style? Let's share that creativity! Show us what you've been crafting up - it can be anything: sewing, decorating, recipes, Thanksgiving, Christmas ideas. If you made it, it's Craftastic so link away and inspire! And remember to enter my Banarsi Designs Home Decor Giveaway for a chance at getting TWO embroidered pillow covers in the winner's choice of colors. 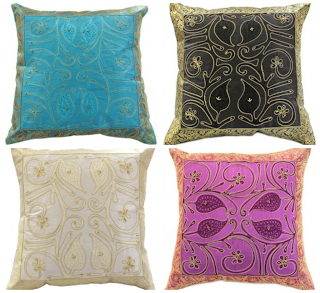 Perfect for redecorating (or gifting) for the holidays! Repeat Crafter Me's adorable crochet gingerbread hat & leggings are perfect for the upcoming winter season. 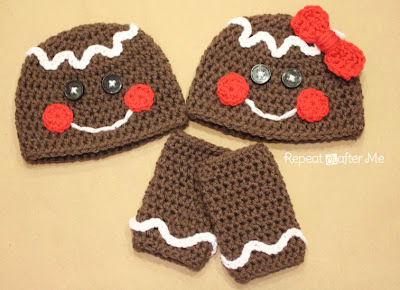 With newborn - adult sizing instructions, you can make some for everyone! See, Love, Make is an inspiring blog by Rita, a med student from Portugal, who shares her passion for Fashion, Crafts and DIY. Her refashioned clothing ideas are great for looking stylish on a budget and the finished outfits she's made from patterns, like her soft and sweet skirt are a treat to check out too. 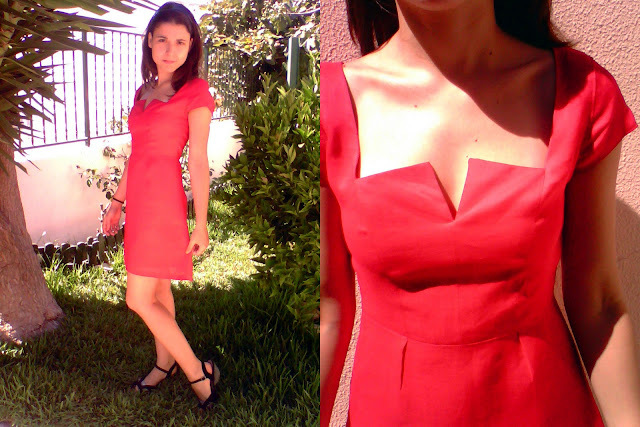 Last week she linked up this lovely little red dress made from mixing several patterns. Fabulous! Thanks for the fantastic party, have a wonderful week! Hi Jill, great Craftastic Blog of the week, I love it! Have a fabulous week! Thanks so much hosting! Thanks for the party, Cheryl. Have a great week! Hi Cheryl, thank you for hosting this party. I am no 89. Thanks for hosting this link party! I linked up a Monster High Purse link number 114. Thank you so much for featuring me as Blog of the Week!!! And for your lovely description of my blog! Hi there! I linked up "Fingerless gloves to knit, crochet and sew" link #150. New follower! I linked up my "Turkey Bait and Printable Tags!" Thank you for hosting! I linked back as well! Hello there! This post couldn't be written any better! Reading through this post reminds me of my previous roommate! He always kept talking about this. I am going to forward this article to him. Fairly certain he will have a great read. Thanks for sharing!